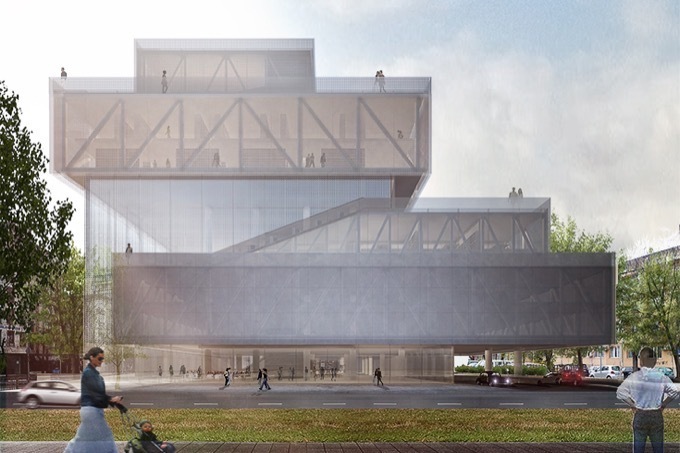 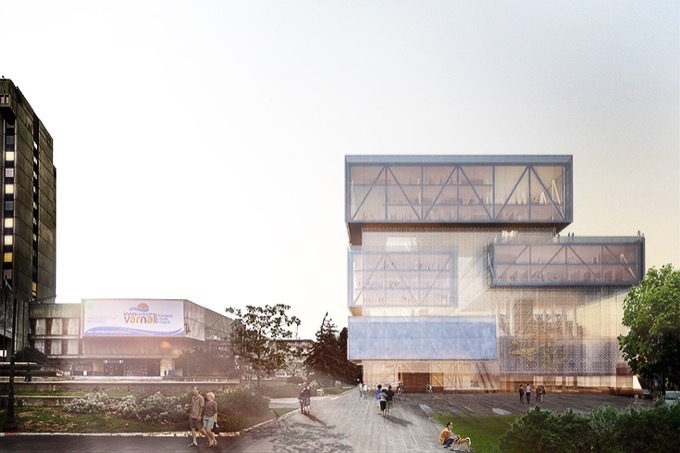 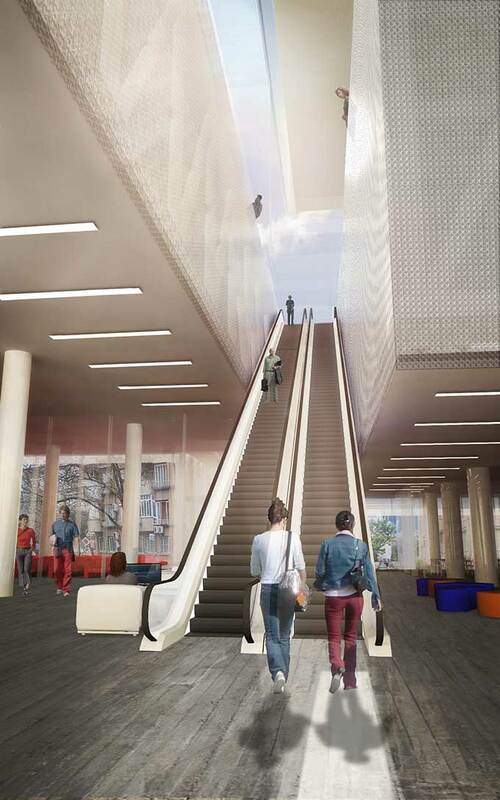 The new public library in Varna is a permeable cultural container, an incubator for social interaction. 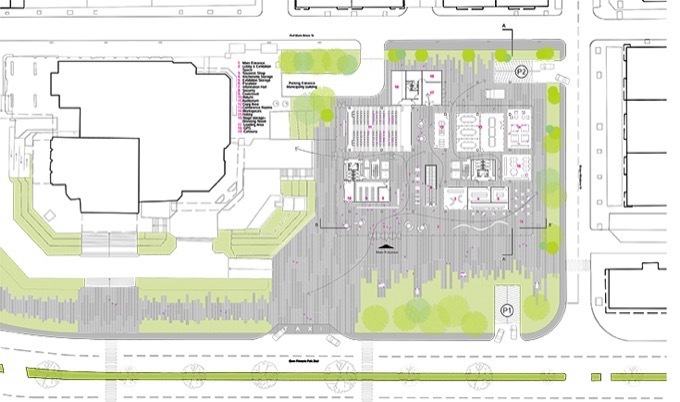 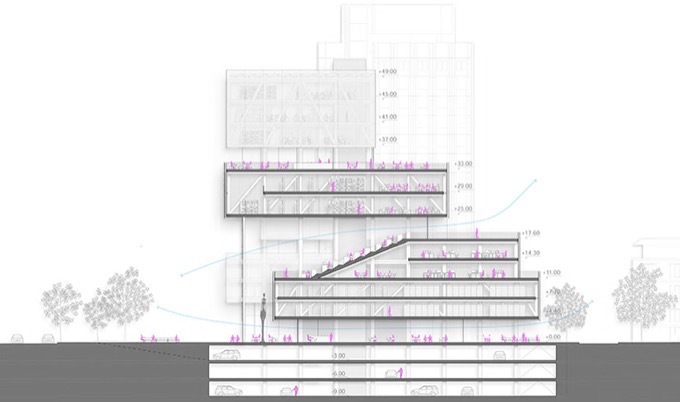 As a vertical urban plaza, it gathers visitors of all ages in an open and inviting environment. 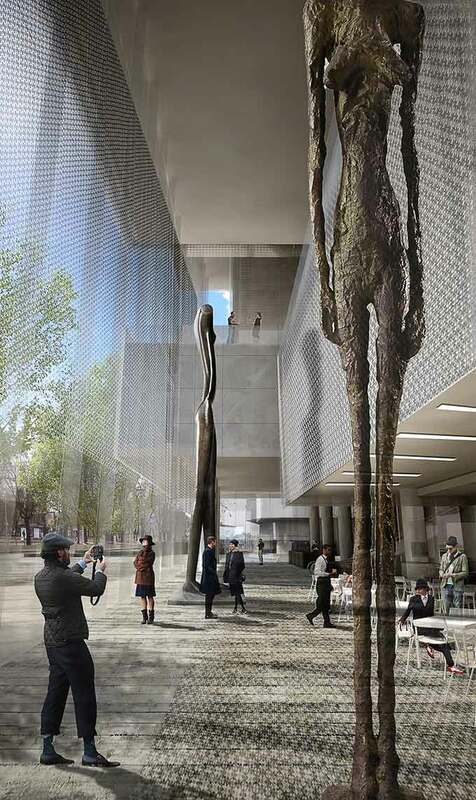 Through a seamless blend of interior and exterior, visitors are able to move deep into the building without loosing connection with the surrounding city. 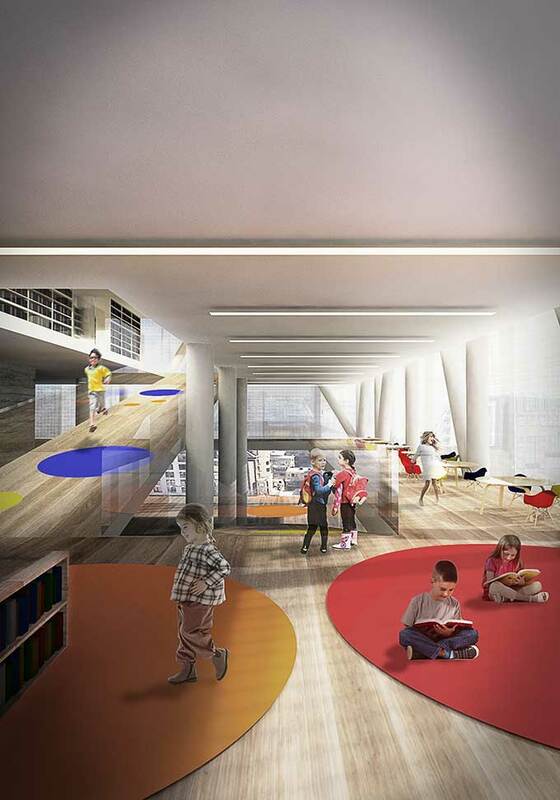 Staggered volumes containing traditional library programs, such as areas for individual concentration and areas for socialization, float within a permeable envelope to create open spaces, both indoor and outdoor, for social interaction. 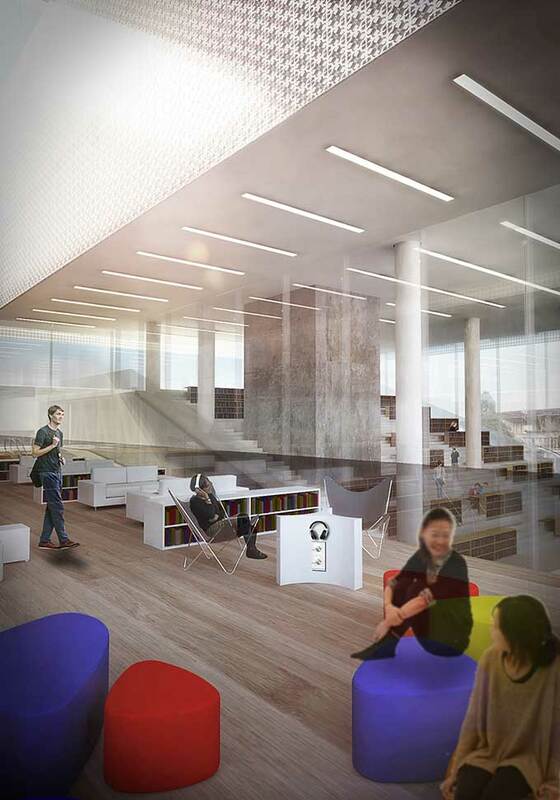 The city and the library, connected uninterruptedly at ground level, continue their communication throughout the upper floors. 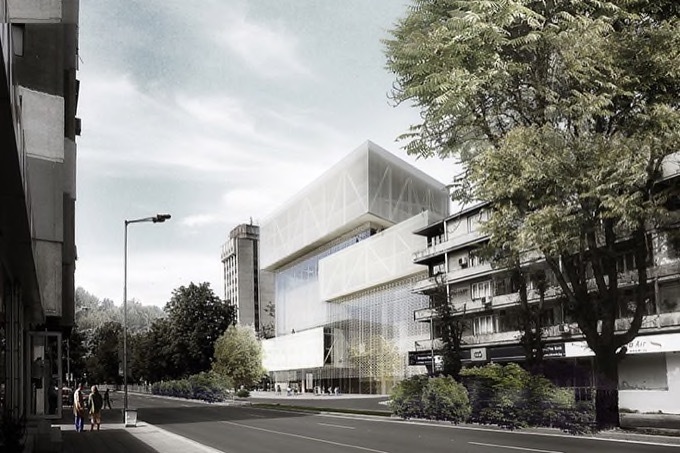 The envelope is clad with mesh of varied densities to control solar exposure, daylight and transparency. 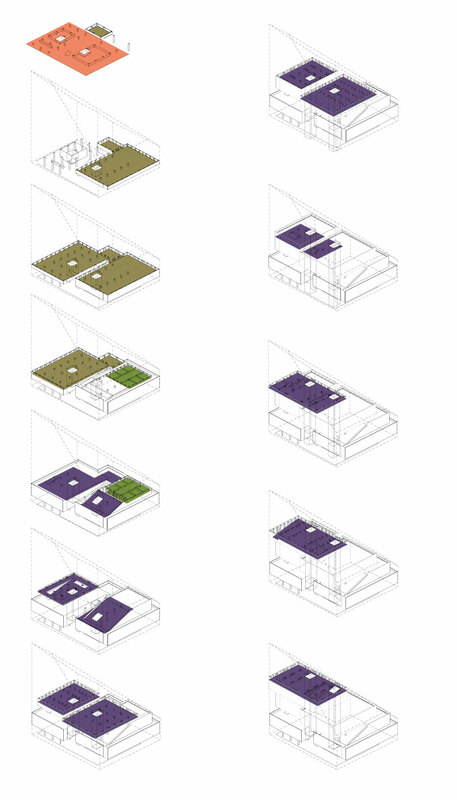 The most dense areas being at the storage floors near the urban ground level, and the least dense at the upper levels where uninterrupted views of the surrounding are guaranteed all the way to the sea.